An incredibly detailed model of the RRS Discovery, this is sure to be popular with ship and nautical enthusiasts. 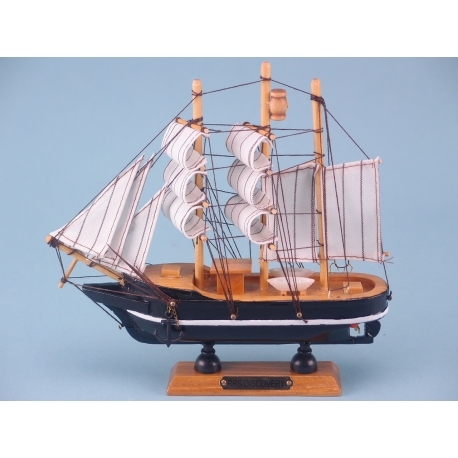 For the nautical and ship enthusiasts out there, this model of the RRS Discovery is a must stock item. It measures 20cm in length and 20cm in height so it is the perfect size to sit proudly on your customers shelves or mantelpiece. 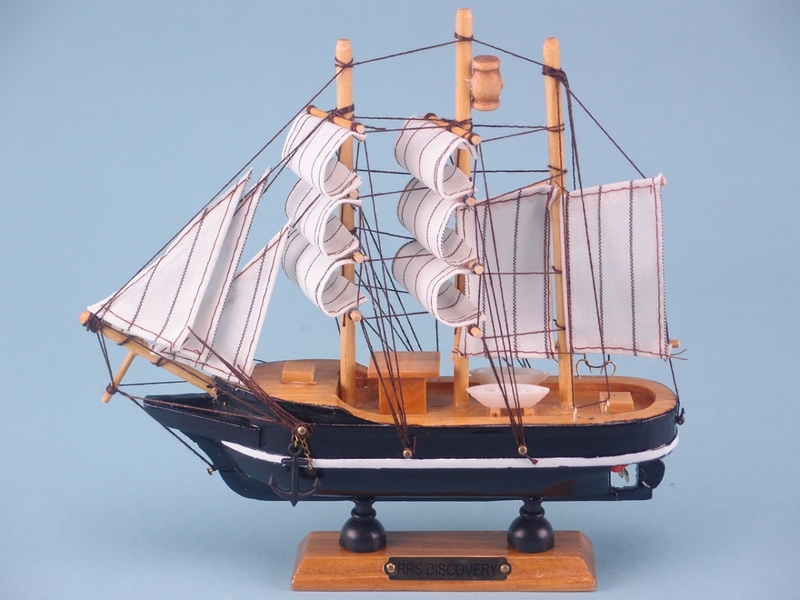 This model ship has been crafted in incredible detail from the sails and anchor down to the propeller system. Painted in nautical colours of blue and white, it rests on a stand with an engraved plaque reading RRS Discovery.